Warmer Spring weather means more conferences on the East Coast and Southeast Venues – think New York, Philadelphia, Baltimore, Atlanta and Miami. Although it often seems that the majority of the technology conferences through-out the year are held in California (San Jose, San Francisco, Los Angeles and San Diego) and Las Vegas, Nevada continue to offer the most. We’ve started to include more of the European events as well, since our international readers (and travelers) have been requesting it. Below are the listing by date, city and name for the upcoming technology and electronics related events, expos and conferences for our industry. You’ll find links to the conference sites, as well as pre-views of what to expect. This issue has the April 2014 additions, along with the listings from prior months at the bottom so you can see what you missed and plan ahead for next year. 29th, Atlanta, GA: NetworkWorld TechTours: Wireless Infrastructure For The Enterprise. 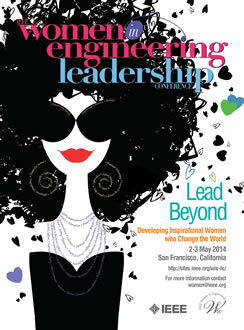 1st – 3rd, San Francisco, CA: IEEE Women in Engineering International Leadership Conference (WIE-ILC) . 5th, San Francisco, CA: HBaseCon2014: The Community Event For Apache HBase. 19th – 23rd, Barbican Centre, London: SDD2014: Software Design and Development. In case you missed it in 2014, plan ahead for next year as most conferences are held around the same time and typically in the same city.